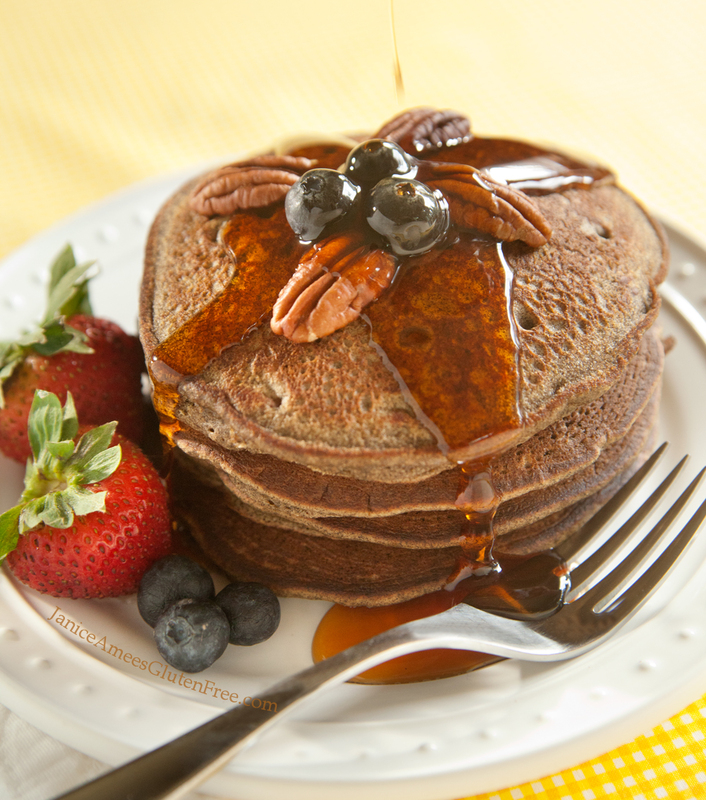 If you like the rich, hearty flavor of buckwheat and bananas, then these are the pancakes for you! They can be made dairy free and egg free, with or without nuts. I like to use really ripe bananas, just as I do when I’m making banana bread (like my grandma taught me), as they’re a lot sweeter. I also think they make for a better tasting pancake OR banana bread. Preheat the griddle and/or spray or grease the skillet. Measure and mix the dry ingredients together in one bowl. In the blender or food processor add the egg, oil, milk, and bananas and give it a whirl until it’s smooth. Add the liquid ingredients to the dry ingredients and stir through until no dry bits remain. If it’s too thick or sticky, add a bit more milk until you get the consistency you like. Spoon onto a preheated skillet or griddle. Flip when it begins to bubble and cook a minute or two on the other side. Serve with your favorite topping. Makes approximately 8 – 4″ pancakes. 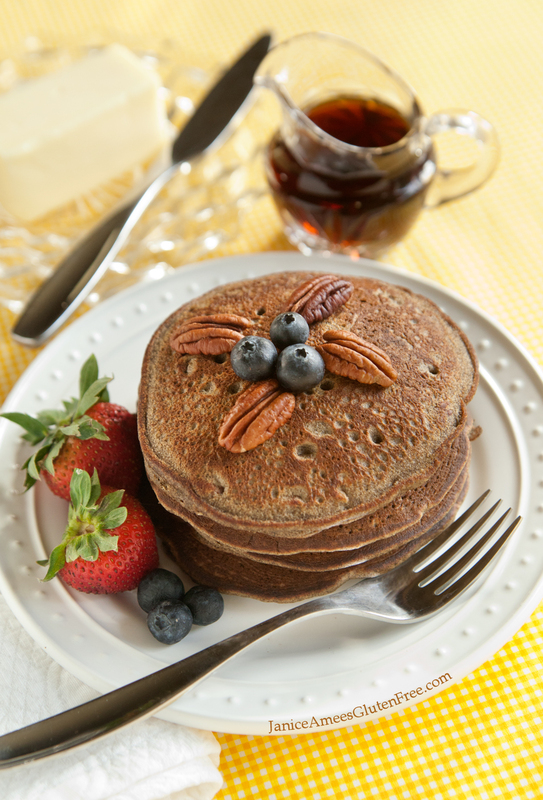 For more delicious recipes, be sure and check out JaniceAmeesGlutenFree.com!